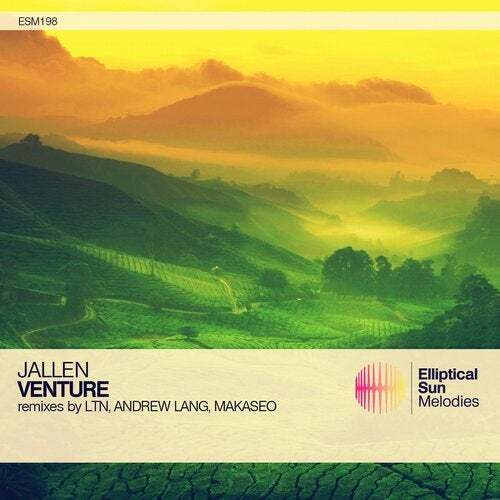 It is always a true honor to see the return of not only one of the most gifted producers to have ever released on ESM, but also one of the most gifted that Seattle has to offer – Jallen. Having a truly admirable release history with us, all the way down to his very first label signing, we've always had a very high respect for the time and patience that this gifted talent puts into each of his productions...and this new single is yet another shining example of the magnificent results that come from this artist and the time he devotes to his craft. Venture is in our opinion a perfect journey from beginning to end, with each layer continuing to pluck the chords of our hearts, the luscious vocals and mesmerizing strings mixed with the incredible bass and atmosphere truly culminate to one of the most impactful pieces we've heard to date from this unforgettable artist. But as always, we have a bit more to offer to help sweeten the deal even further. On remix duties we are incredibly proud to see the return of progressive legend LTN, as well as ESM veteran Andrew Lang and last but certainly not least new rising core artist Makaseo, who each have delivered such truly diverse and remarkable remixes that we truly could not pick a favorite even if we tried. One thing is for certain though, this release is one of the most diverse we have seen to date here and couldn't be more proud of the end results collectively.